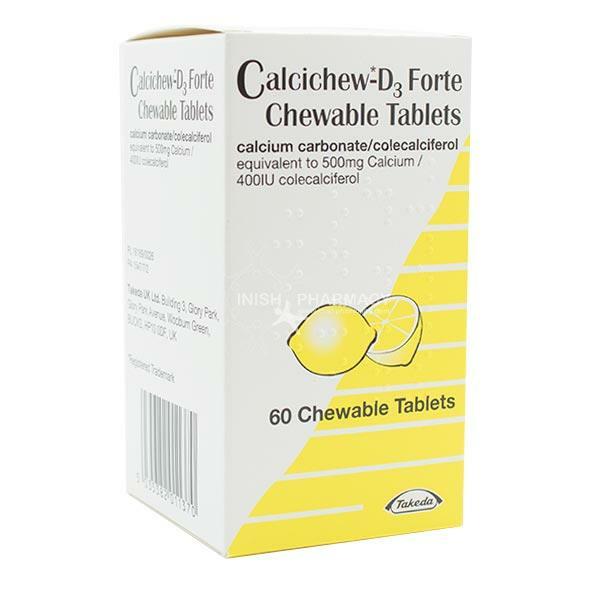 Calcichew D3 Forte provides 500mg Calcium and 400IU Colecalciferol (Vitamin D3) per chewable tablet. Calcium and Vitamin D3 supplementation is important for bone helath and to help prevent Osteoporosis. Lemon flavour. Adults should chew two tablets per day, preferably one in the morning and evening. Not suitable for under 12 years.